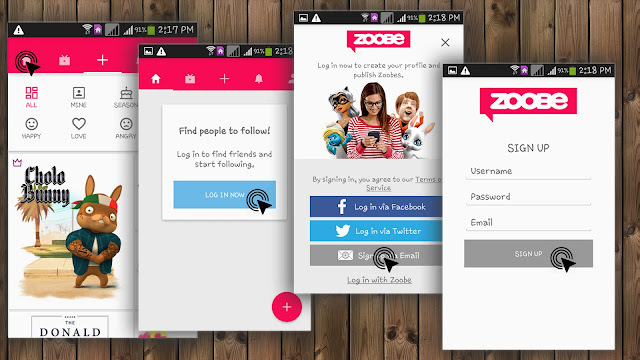 STEP 1: Download the zoobe app from Play store and simply install on your android smart phone. STEP 2: Login to zoobe app using your gmail or microsoft account.If you have not gmail account then you have to choose the facebook or twitter account. NOTE: If you have any type of account or any resign to not login to you account then don't worry. Without any account you can also create animated videos. But you can't send and share the videos. STEP 3: Now your zoobe app is ready to create animated videos.Look at the given below image to create animated videos. STEP 4: Created videos can be download the on your mobile automatically when you click the save button. if you want to share your create animated videos then directly share the videos on facebook, twitter and more other option is provided by zoobe app. 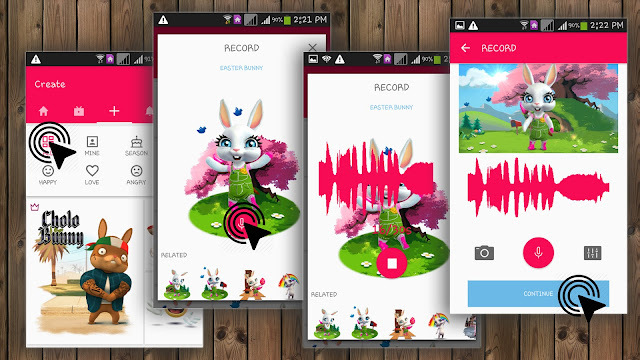 zoobe apps provide you to create animated videos your own. By using this zoobe apps you can create animated videos like funny animated videos, animated love messages, animated message, happy birthday wishing videos, various festivals wishes, jocks and many more type of videos.